How Devastating Can New Technology Be For The Young? ViewKick > Posts > Science & Technology > How devastating can new technology be for the young? Over the last 20 years the new technological development has been rushing like an unstoppable tu-tu train, with all types of modern appliances and devices brought into our lives. Undoubtedly, these innovations have provided swiftness, simplicity, and easiness that facilitate people’s everyday life in aspects such as professional career, parenthood, domestic appliances, communication, transportation, etc. International words like Internet, computer, i-phone, smart phone, iPad, tablet, lap top, download, facebook, tweet, multi-media, etc. have become an integral part of our vocabulary, and life deprived of these novelties seems quite unimaginable. The influence, however, exerted by technology over children could be really unfavourable, or even catastrophic. 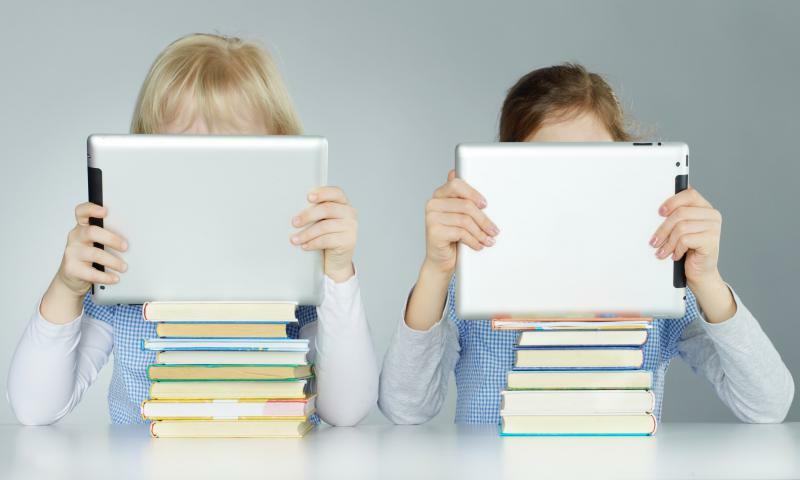 The constant overuse of mobile media and new technological tools exerts a negative effect on the way children think and use their brain. On the one hand, spending time on-line, playing video games allows the young to keep up with modernity and the novel ways of task accomplishment. On the other hand, the developments may cause persistent incidents of distraction, inability to remember information, lack of creativity and imagination, difficulties in focusing or appropriate processing of material. Compassion and empathy for the others are less and less amongst the emotions experienced by those adolescents and teenagers, who constantly access technological devices throughout their daily routine. Such children also suffer from the incapability to identify various shades of emotional expression, such as sorrow, anger, or pain. The lack of face-to-face social interaction hinders children’s sensitivity to emotional triggers and nonverbal prompts and cues. 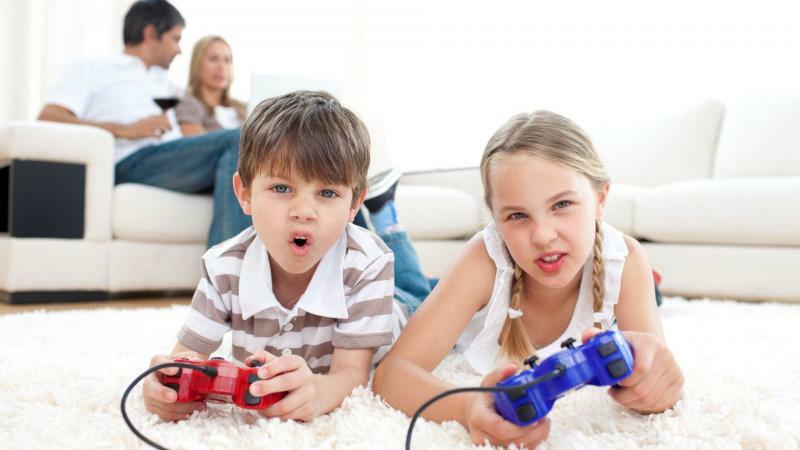 Those who spend much time playing video games or surfing the net may experience hardships in establishing and maintaining social relationships, and, as a result, such children may even develop an aptitude towards physical contact avoidance. Moreover, mobile media containing violence or any type of inappropriate content, has a major negative impact over young people’s sensitivity and expression of compassionate feelings. While using a technological device, children do not stimulate their propriocepitve, vestibular and tactile systems. Instead, their sensors of vision and hearing are overloaded. This combination of inactive and active sensors leads to an inequilibrium or problematic neurological development. Wide exposure to violent TV broadcasts or video games could be quite stressful, leading to the inappropriate psychological state of discomfort and uneasiness, or to the physical disorder of increased heart rate and high frequency of breathing. The more technological appliances children use, the less physical exercise they do. - Come on, my child, it’s a lovely day today. Why don’t you go out and play- said a loving mother to her son, whose nose was stuck to the tablet screen. - All right, mum- said the child and went out(on the balcony) and continued playing his precious tab games. In the good old days children would spend hours riding bikes, playing hide-and-seek, or even inventing their own kind of games, which used to be both nature oriented and tutorial. The new technological developments are growing faster and faster; there’s no going back. This irreversible attachment to modern life material devices may lead to a disattachment to the simplicity of face-to-face relationships or mere naturality of physical contact. 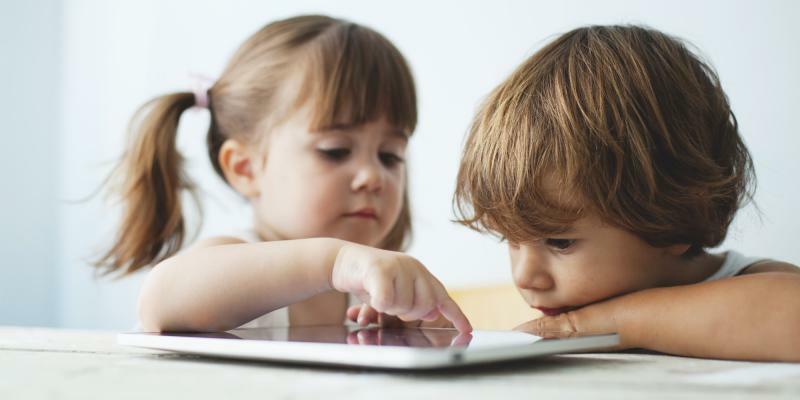 Children’s exposure to mobile media and technological developments should be carefully monitored, since it could have a quite harmful effect over their development of personality, skills, habits, knowledge, interpersonal relationships and natural perception of the surrounding world. No matter how beneficial the new world’s advances can be, they ought to be balanced and closely controlled.